To promote the upcoming third season of her FX comedy Better Things, Pamela Adlon sat down for an interview with Vanity Fair, which inevitably touched on the subject of her longtime collaborator Louis C.K. As a result of the 2017 New York Times report about the multiple sexual misconduct claims against C.K. that he admitted were true, FX severed ties with the comedian, which resulted in Adlon’s series losing its co-creator and executive producer. Soon after the Times report about C.K. was published in 2017, Adlon released a statement in support of the accusers, saying she felt “deep sorrow” for them and calling C.K.’s behavior “abhorrent.” Just a few days later it was reported that Adlon had dropped her manager Dave Becky — who also served as an executive producer on Better Things — due to the Times report’s revelation that Becky had played a part in keeping the accusations against C.K. under wraps for years. Becky represents a long list of comedy clients, including Amy Poehler, Aziz Ansari, and Kevin Hart, but none of his other clients have publicly supported Adlon in her decision to drop him. In any case, Better Things is a wonderful show that doesn’t need Louis C.K., and you should definitely watch it when it returns to FX on February 28. Better Things Doesn’t Need Louis C.K. 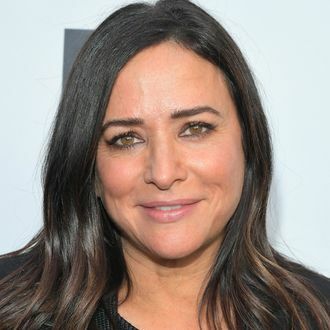 Which Comedians Will Follow Pamela Adlon’s Lead and Fire Dave Becky?